It’s the holiday season! Here in America we’re gearing up for Thanksgiving…the one holiday that stands between us and Christmas….so naturally the Simpsons have to celebrate! While I think it would have been awesome to get a confetti shooting Homer balloon from last Sunday’s episode, this mini event is fun too! NOTE FROM PATRIC- I was one of you…no iOS. It landed this morning (11/15). HOWEVER…it didn’t just “show up.” I needed to shut down my device completely…as in all the way off, not just clicking the screen. Shut. Down. Then go into the app store…and do a search for “The Simpsons Tapped Out.” That finally brought up the new updated screen. Please try that before you write, reinstall, or freak out any further…Thanks!! Once this is complete it’ll trigger the event content, prize track and questline…. And that’s it my friends! All there is to the Thanksgiving mini event main questline! What are your thoughts on the Thanksgiving Mini Event? Any prizes you’re looking forward to getting? What do you plan to do with the prizes (design plans)? Sound off in the comments below, you know we love hearing from you! 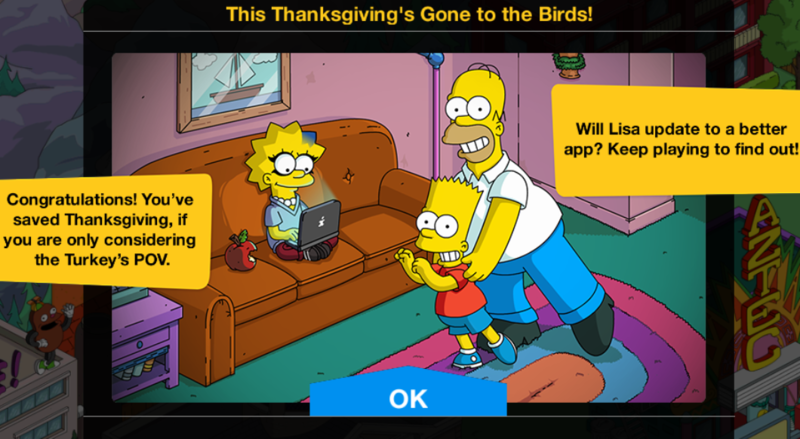 This entry was posted in Thanksgiving 2017, Tips and Tricks, Updates and tagged how do i get programmer lisa, how do i get salad dance animation, how do i get slaughter house, Tapped Out Mini Event, Tapped Out Tips and Tricks, Thanksgiving 2017, Thanksgiving Gone to the birds, Thanksgiving prizes, Thanksgiving quetline, The Simpsons Tapped Out, TSTO Addicts, TSTO Tips and Tricks. Bookmark the permalink. Hmmm, so with this update came tasks for two characters i don’t have. Hank Scorpio and Jasper. They seem to have nothing to do with the event. Now I’m gonna have them stuck on my task bar until i buy them? Is gacking yer task bar with tasks you can’t do the new way for EA to get us to buy premium characters? On May 21 2014, I posted “looks like a giant conga line and makes me long for a task for everyone except Lisa called “You Don’t Make Friends With Salad” where every character you assign joins the conga line. Maybe Homer and Bart are required to start it and then each additional character earns extra.” (as seen here), and now three and a half years later, Bart and Homer are doing a task called the You Don’t Make Friends With Salad conga line. My game isn’t letting me send programmer lisa to inspect source code. Is this a glitch, or am I missing something? I’m having the same problem, you need to buy the bench for Lisa to sit in. When you click on the task to inspect source code after you buy the bench she will go and sit in it. Buy the bench for Lisa to sit in. When you click on the task to inspect source code after you buy the bench she will go and sit in it. … and complete the task. Hi there. I have been taking a break from the game for a little BUT imagine my surprise to come here and see You Don’t Make Friends With Salad!!! 😁 That was my idea! More like a request, because obvi I didn’t create the Simpsons, but you know what I mean! Wookie did that What an Addict Wants post many moons ago and that was what I wanted! YAY! Now I gotta catch up to win it! See what you almost missed my friend? Hope you’re well! It shows a lack of imagination on EA’s part for sure! I’ve said it before, but I still wish we could control the weather theme ourselves. In 12 days it’ll be the first day of Summer for me, which means the next 5 months will be hot and dry (it’s been in the low 30’s the past week). Yet my game will have dead-looking trees and snow a bit later. Even in Autumn (Mar-May) most of our trees don’t lose any leaves, so I hate seeing trees without leaves in my game. It makes decorating a nightmare, especially when the game has snow, as half the plants look dead or barely recognisable covered in snow. To me Christmas is all about fun in the sun, beaches, barbeques, and for kids the long school holidays. Been to New Zealand 🇳🇿 It was very strange to me celebrating Sinterklaas with temperatures reaching 25C. Used to 0C, drinking hot chocolate, eating marsepijn, pepernoten and soeculaas. I’m enjoying this event because there’s good content. I’ve picked up Mrs Bouvier (a name I always hear in my head as Grandpa’s Hoffman-esque plea), Big Chief, and the chilli dog stand. The prizes all look good and despite a delayed start and some small technical issues, I’m comfortable with where I’m at. These mini events are usually pretty straightforward. 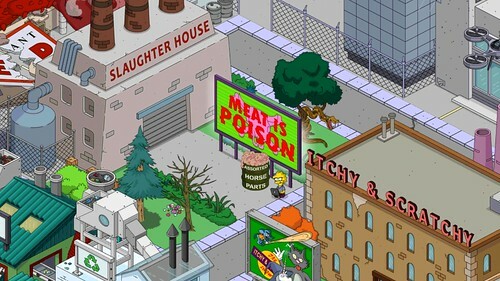 Is it possible to get the Slaughterhouse if I start in some days, or is it rather hard to get and I should start now? I like to collect the walls of the previous event to have building material, so I’m a bit torn if I should update the game or can come late to the Thanksgiving party and still earn the slaughterhouse. Please reply, my previous posting was not published, hope this gets. Can’t understand the anti everything that ea are doing, pagan Christmas, no trick or treating and now a meat free thanksgiving, not a Turkey in sight apart from the slash screen, think Christmas will do it for me if anti has anything to do with it, what happened to traditional events. Uninstall and reinstall will kickoff the update. You’re great! Everything is ok now! Thank you very very much! I’m glad that Thanksgiving isn’t being overlooked this time (long-time Tappers will remember Puritan Flanders, Native American Lisa, Turkey Day Picnic Bench, etc – I still lol at the amusing visual Tasks that ‘pardon the Turkey’). Soooo…… has anyone done the math on this event to see how close freemium vs premium time frame varies? Saving them for Christmas 🎄 is a good thing in my opinion. Where did those Safi mini game updates go? Because of the end of the THOH event and start of Thanksgiving mini-event, it was pushed until today. Am I the only one “forced” to buy Jasper for the event? I was saving freemium donuts for Duffman, but the update brought me a Grandpa Simpson task that required Jasper. I’m just not doing it. I have Jasper and they want me to buy the guy with the pink mointain. I don’t want him. I’m not spending my donuts on it. Again, I’m not going to do that part of the event. What is going on?? For the last couple of weeks, my game downloads like I did a hard close. So, i did an uninstall/install and waited. It was fine for a day or so, then again, today, install to 850+mb!! The 1st time it happened, it was 1400+mb!! Why is this happening? I have 9gb open on my device, so, it’s not memory space. Any help would be appreciated. I’ve been playing this since it dropped to Android many years ago. I’m about to quit. Thanks!! Contact EA. The best way to do this in my experience is in game.. while playing on mobile device. Click the construction icon (hammer and saw). Then click “get help” Should take you a website with “contact us” at bottom..pick tech support…Click “call me option”:. fill out form..They will actually call you within time frame listed give or take. Or at least they have the last 3 times I did these steps..
Just an FYI ; The call me option is now only available for USA & Canada when you fill in the form. It used to be that Australians were able to speak to an EA rep & have them call you, but no longer is this so. I never did get on to EA in the end. As a tip; Watch you get your 5 railyard donuts – I didn’t which was why I was wanting to contact EA. That & to complain of 15 days tasks for a mystery box that yielded a bomb shelter! (To go with the 18 already in my inventory!) At least it wasn’t another _onda! (32 of them already!) 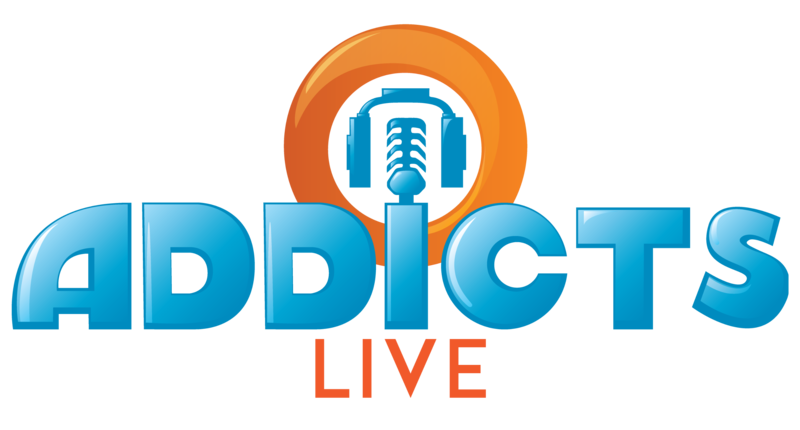 – It’s about time some new prizes were on offer! If I bought a mystery box for donuts & got something useless like that I think I’d scream blue murder! Just finished up Brandine’s 3rd triplet when I won her in the mystery box for Valentines day. Now she can harvest metal and cans. Free! Free! Finally, Im free! Me too! Its nice having another metal person since the mini-event is using most of them. You can stagger your badge earners to carry over unneeded badges. Y’all are great! I’ve learned over the last few years of visiting this page if there is an issue it’s either go to Krustyland or uninstall then reinstall. If those don’t work, come here. Love it! Thank you! Still waiting for the update. I’ve tried everything. So disappointed with Apple and/or EA. I was about ready to give this game up anyway. I needed an uninstall and subsequent reinstall to make the update happe on my Apple. The Unemployment Building still works, But can’t send characters with it when the have tasks in the task list. No work around to the best of my knowledge. Very frustrating. I have used the rail-yard and zombie sandwich to reduce the numbers but no ‘complete’ workaround other than sending them all on the quest(that at least clears them all at once)! 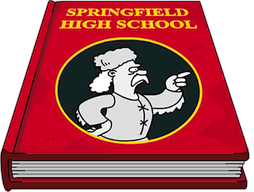 I guess you could thrown in the Springfield Heights currencies as well. Well said. I hate that these quests that disable the unemployment office then turn off all premium skins. I guess though that I should be thankful I’ve got so many premium skins that this is even an issue! Yep, really annoying. I got the robot KEM during the last event which allows me to send almost all characters on premium 4hour tasks via the Unemployment Office. But these 3hour Thanksgiving tasks put a halt to that. No choice but to go with it and send all characters on the 3 hour tasks for now. I have a Samsung galaxy S7 edge and the game says it’s no longer compatible with my device. Like an idiot I uninstalled the app and now I can’t get it back. I’ve played for years what’s going on. This needs to be fixed ASAP!! I play on a Samsung galaxy 7 edge no problem. Sorry you are having difficulty… have you checked for software updates? I am getting same message on my Smasung S6… not impressed. I just realized that the trolls and beasts are still paying out with the same decorations at the end of their shifts. They pay cash, but still also award more of the same junk we already have too much of from the event. Soooo…if I want to have them wandering my town, I have to continue to store a never ending stream of stuff (I wanted to use a different word…also starts with “s”) that I don’t want? Please, EA, fix this…nobody wants a thousand broken TVs or dirty toilets in their inventory. I just discovered this today too! Ugh! I do see that you have the option, for each troll and beast, to toggle each of them to be either at rest or to be active. Just tap on them and a box pops up to give you that option or to release them (which gives you money, xp (I think) and those wonderful, gee-I’ve-got-way-too-many-of-these decorations. Their activities are movements while they stand-in-place, rather than wandering, unfortunately. I’m still sending Treestache out and about. The trees he brings back for me I’ll either use or sell. I am getting way too many of the small islands though. 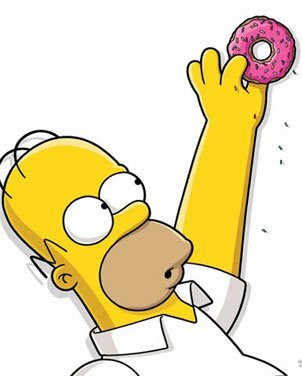 BTW–Are they the same Small Islands that are in the store right now for donuts? They look the same to me. I think the islands look the same but aren’t paying bonus %. It doesn’t really bother me. They aren’t listed individually, the number just goes up. Maybe if I can ever master the art of 3D design maybe I’ll be glad to have 300+ whatever’s to work with. Quinn was instabuy, still had enough donuts. Maybe it was the last time I spent real money but couldn’t resist: bought 300D and then Mrs. Bouvier and the Chieftain (and Pow-Wow sign, too). I would have loved CONRAD as a character instead of just on a big screen. A big 2D floating head, in the same vein as Mr Sparkle.